In my spare time I am also an avid art supply junky, Art Journal Evangelist and koala mama (yes, Koalas visit my garden!). 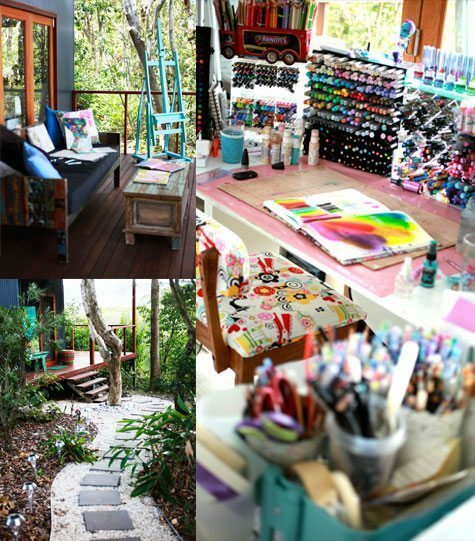 I live at ‘The Nest’ overlooking Byron Bay in Australia. My passion is teaching women how to defy self-imposed creative gravity. I believe everyone is creative and that drawing is a delightful pastime that can build confidence that flows into all aspects of life. I’m always telling my students to embrace the process and trust the mess! I am an artist with a few super-powers (more on that later). After studies in Paris ( ooh la la! 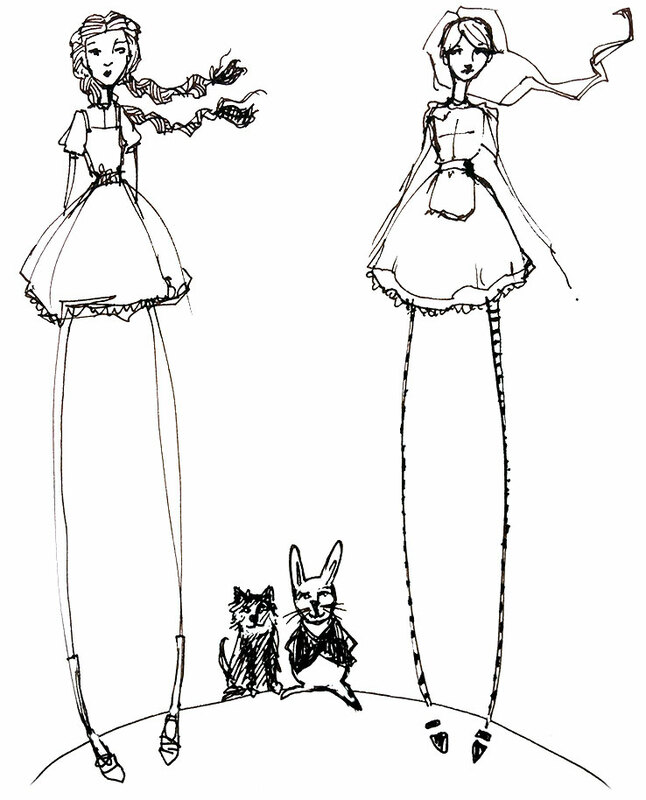 ), my first job was as a fashion Illustrator. This evolved to a textile designer and then fashion designer. 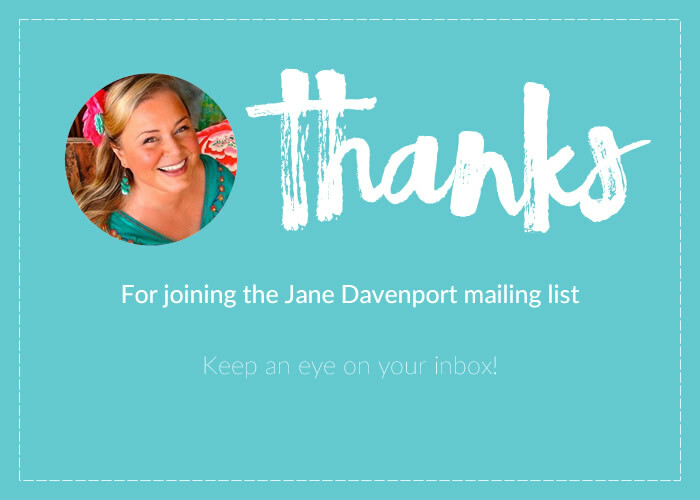 Working on my ‘Jane Davenport’ Fashion Label was lots of fun. I created a very succesfull Collection for my mother, fashion Icon, Liz Davenport. As well as designing my own label I was the Creative Director for the company. I moved to London to head the UK expansion and worked from Bond Street in London. and 2. I loved photography! I became a fashion catwalk regular in London and Paris and Liz never got her camera back and what started as a hobby, developed into a fashion photography career and I returned to Australia. And then something really weird happened. I have no explanation. I became fascinated with the little insects of the garden, especially ladybirds. And so I left the glamorous world of fashion to concentrate on photographing my bugs. 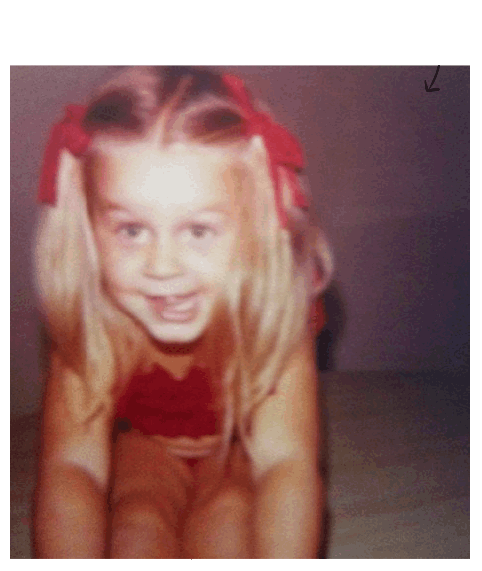 I had no choice really… I was obsessed. There is something rather spectacular about ladybirds ( ladybugs, ladybeetles). They way they parade around the garden in their gorgeous spots and courageous colour. They have a sweet tooth. They can fly. What’s not to love? Seeing them makes me happy, heck! Just thinking about them makes me smile…. so…cute…. My passion for insects lead to me being called the ‘Artomologist‘ as a play on entomology. I won lots of awards and traveled all over the world photographing insects with my artwork exhibited in galleries and large-scale, outdoors art installations. I specialised in working with zoos internationally. I have had 4 books on bugs. I have been described as and “one of Australia’s most exciting snappers” and “one of Australia’s most successful Licensed Artists”. My artwork has not only appeared in galleries, books, magazines and newspapers but in movies, on chatshows and on homewares, textiles, stationery and giant glass screens. I work with some fantastic companies to make this happen. Photographing insects is not really so different from photographing supermodels as they pose in the latest spring fashion and parade down petal catwalk, but although I have swapped photographing the human kind of social butterfly and stick insect for the real thing. I still can be tempted to do a fashion shoot if it involves an exotic location so I can go and photograph bugs….. In 2006 my husband and I moved to Byron Bay and we opened our Gallery in 2007. The Institute of Cute was a highlight for visitors to glamorous Byron. We welcomed glittering celebrities, and rockstars from the huge music events we have here. It was a wonderful place to house my Artwork and licensed collections of Homewares, clothing, textiles, posters, stationery and all my ladybird inspired designs. It was such a fun and eclectic space! I taught drawing and Painting in a weekly workshop in the Gallery. 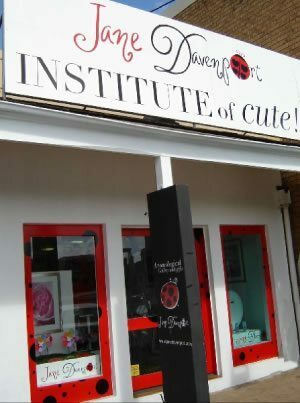 The Online version of the Institute of Cute opened in 2010 and offered my ladybird inspired treasures, art work, fashion, books and supplies for Artists. By 2011 it became busier than the actual store, and we moved entirely online. It was a hard decision to make, but a great one! just for myself allowed my heart and soul to expand exponentially. 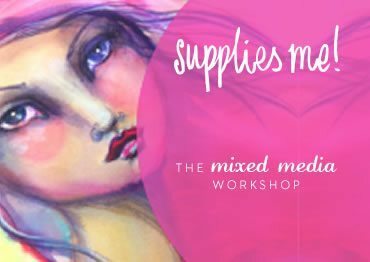 I discovered the Mixed Media Community and the warm and welcoming world of artists sharing their experience and relishing in creativity of all forms. A big part of this new territory of the art world is the generosity of teaching. I signed up for online workshops galore! 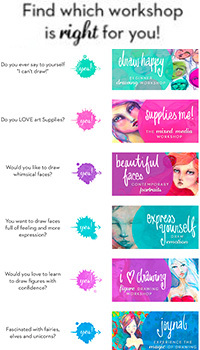 Some favourites were with Dirty Footprints Studio, Decor8, Willowing, Suzi Blu, Wyanne and Drawing Tutorials Online. I entered these workshops with my own style firmly in place, but there was always something new to experience. The community of creatives that form as part of each individual teacher/leader is a huge part of the fun. I was inspired to create my own Creative Community! In early 2011 I was asked by Connie of Dirty Footprints to teach in 21 Secrets as one of 21 Journaling Artists. I accepted immediately, before I could panic and talk myself out of it! 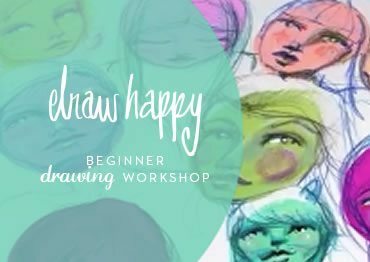 My class, Draw Happy, was based on my real world classes that I taught in my Gallery. Recording myself was a bizarre experience, and I was shocked that I enjoyed it! I had to learn how to edit my short movies and gather my information into this new format. The online version was a hit and I discovered a passion and talent for sharing a lifetime of creative knowledge through video! Supplies Me was my first ‘Stand-Alone’ workshop. I launched it in September 2011. 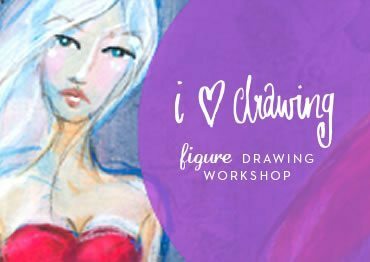 I had no idea if anyone would join, but they did and it has gone on to be my most popular workshop. I have created over a dozen more online workshops since then. I have SO MANY ideas for classes that the hard part is containing myself and just working on one at a time! In 2015 my first Mixed Media title ‘Drawing & Painting Beautiful Faces was released with Quarry Publishing, USA and the accompanying workshop was a delight to create! 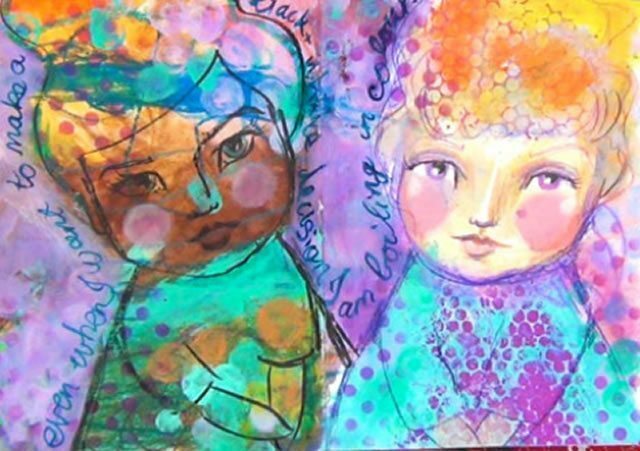 In 2012 my work was included in ‘Art Journaling Exposed’ and in 2013 I was invited to film a video workshop for Cloth Paper Scissors called ‘The Whimsical Face‘ which has gone on to be a Best Seller. In 2014 I created a series of 12 Art Lessons for Cloth Paper Scissors. In 2015 and 2016 I had my own column in Cloth Paper Scissors each month. When time permits I continue to create articles for this wonderful magazine! in 2017 I created a Mixed Media workshop to celebrate the launch of my Jane Davenport Mixed Media art supplies collection (You can join it here), a workshop inspired by the Wizard of Oz called ‘Over the Rainbow’ and a travel Journaling workshop called ‘Journal de Voyage’. In 2018 I have more exciting workshops planned. I LOVE teaching and my students! Teesha Moore invited me to Seattle to teach a 3 day workshop at the Artfest Annex in February 2012. It was my first ‘long’ live workshop. LOVED IT! Having work evolve right there in front of me at the hands of my students was such a delightful experience. 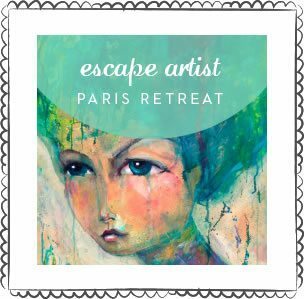 I have since created my own ‘Escape Artist’ retreats in Bali, Paris, London and Mexico. I plan on seeing the world this way! It’s wonderful because I get to travel with artists. 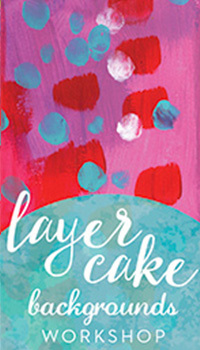 We love color, creativity, design and details… and we love art supplies! 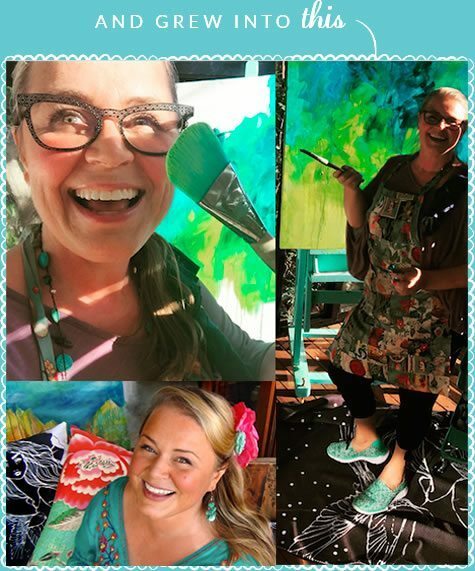 From time to time I teach at other events and in fabulous locations, like Christy Tomlinson’s She Matters retreats and Donna Downey’s Inspired Studio. and one of my favourite things to do is collaborate with them. My first was with 21 Secrets. The next was with Tamara Laporte and LifeBook. I have been part of the Lifebook family from the start. 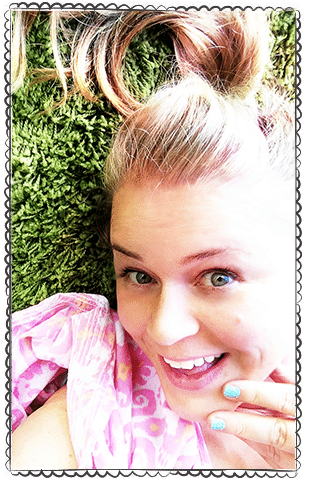 I have also had a ball creating Art Lessons and a Video with Cloth Paper Scissors called The Whimsical Face. In 2013 I was invited to Design stencils for Artistcellar. In 2014 I created my own set of Peerless Watercolors – which I am CRAZY about. My best-selling Artist Edition Set has 5 of my own colours. A dream come true! I have had stationery ranges with Ozcorp, the Art Group, Leap Year, and John Sands . Fun Fact: I have had over 18 Calendars of my artwork published! Ashdene creates my line of Hug Mugs. Quarry published my book ‘Drawing & Painting Beautiful Faces’ which has been a best seller since it’s launch in 2015. In 2016 my signature watercolor selection with Schmincke was launched, and a Dot Card with Daniel Smith. What a thrill to create with such amazing paint makers! 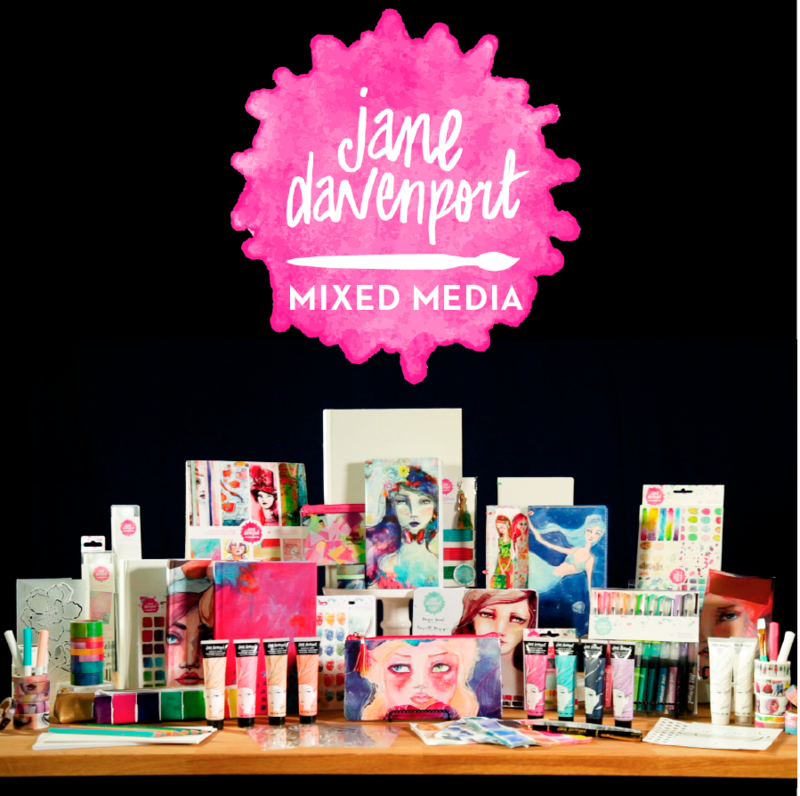 In ‘Jane-ary’ 2017 the Jane Davenport Mixed Media collection of Art Supplies was launched. 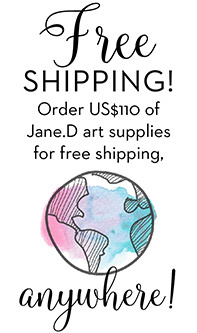 I partnered with American Crafts for the exclusive nationwide launch with Michaels, the largest Art Supply chain in the world. It’s been a huge success so far and I look forward to creating more and more inspirational supplies. In November 2017 my second collection was launched! Just a diverse and successful. I have all sorts of other things planned for 2018 and 2019 ( and beyond!). I adore designing! In 2012 Angus and I moved to ‘The Nest’. I walk to my studio down a little winding path through my own forest. I have room to host workshops on our large deck. In this amazing space I can hone my Super Powers and create the rest of my life. Thank you for visiting my site. 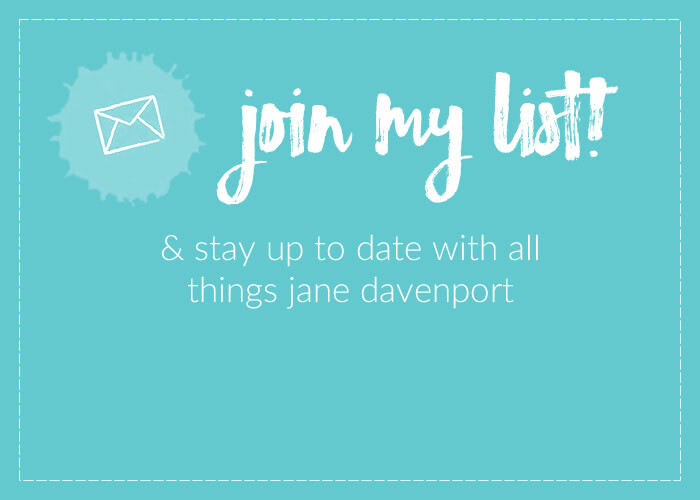 You can connect with me by leaving a comment on my blog, following me on Facebook and Instagram, or best of all, doing one of my online workshops.